Three-level organizer keeps tools within easy reach. 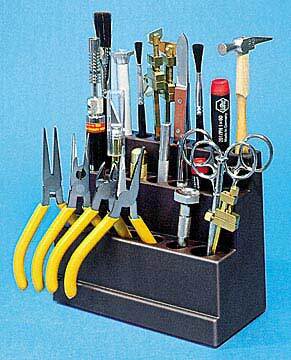 Holds pliers, bar clamps, paint brushes, files, hobby knives, tweezers, and more. Has 21 compartments with three different size openings and takes up just 3" x 6" of valuable workbench space.